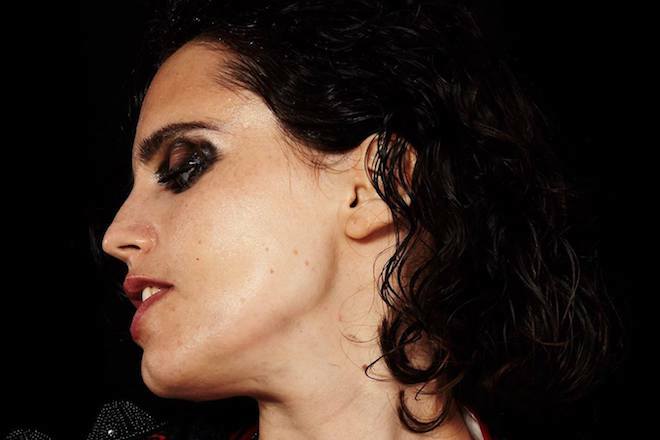 Breaking five years of near-total radio silence, Anna Calvi is back with “Don’t Beat the Girl out of My Boy” with video accouterment. The enigmatic British vocalist carries us through dark scenes of interpretive vision without breaking stride, building her flawless style from brick and mortar to gilded towers that challenge the sky for dominance. For those unfamiliar with Anna, she collaborated with post-punk legend David Byrne on the Strange Weather EP of covers in 2014 – two short years after the success of his work with St. Vincent. Trust your ears on this one. Her forthcoming record, Hunter, is out August 31st via Domino.